The day for jokes and jokesters is Saturday, April 1. April Fools’ Day is Saturday, the “holiday” where it’s acceptable to play a joke, trick a friend or just generally act foolish. Well more acceptable than on other days, anyway. 1. 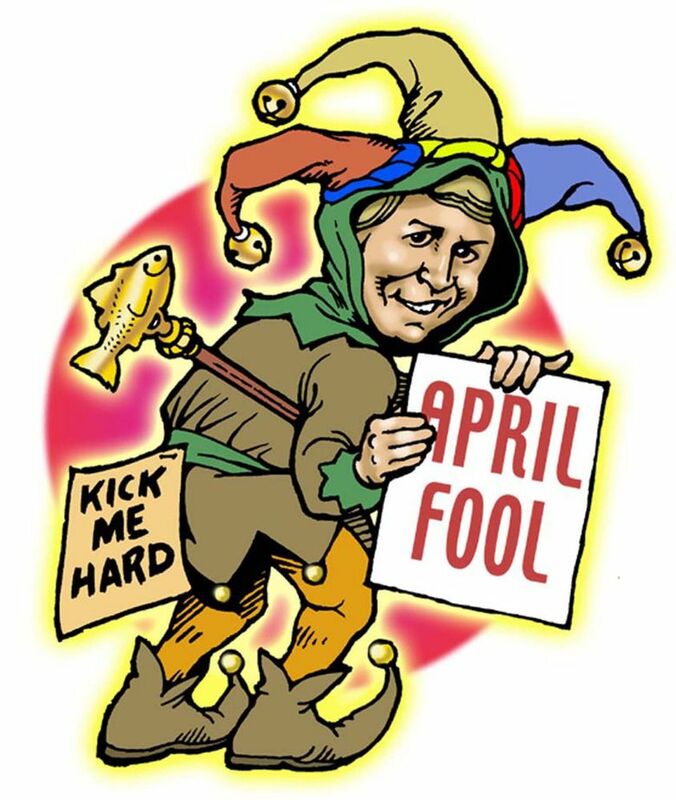 What started April Fools’ Day: Some experts believe it began after the shift from the Julian calendar (with the new year starting around the March equinox) to the Gregorian calendar (which start the new year on Jan. 1) in the 1500s. Some people were mocked if they didn’t know about the switch and followed the old calendar. 2. Sounds pretty fishy: The French call April 1 “Poisson d’Avril,” or “April Fish.” French children sometimes tape a picture of a fish on the back of their schoolmates, crying “Poisson d’Avril” when the prank is discovered. 3. How to celebrate: April Fools’ Day is observed throughout the Western world. Practices include having someone look for things that don’t exist, playing pranks and trying to get people to believe ridiculous things. 4. Speaking of ridiculous: In the 1960s there was only one TV channel in Sweden, which broadcast in black and white. As an April Fools’ joke, it was announced that viewers could convert their sets to display color. They simply needed to pull a nylon stocking over the screen. 5 Also known as: Other names for April Fools’ Day around the world: April Noddy Day, Gowkie Day, Huntigowk Day and St. All-Fools Morn.